I think the truest testament to how engrossed I was in this novel is that I didn’t notice the text was in red ink until about halfway through. When I’m really into a story I forget about the physical object in my hand and the individual words and it all just flows like a movie in my mind, only more intimate, like I’m experiencing it. This is how Forever felt for me, although I have to say after a few hours that red text hurt my eyes. When I reviewed Linger (the 2nd installment in the trilogy) I expressed some disappointment with how the series was progressing but Stiefvater made up for that disappointment by coming through with a fantastic finish. The characters were incredibly relatable, with genuine reactions to the events in their lives, and distinct voices as the narrative shifted. I never had trouble telling who the narrator of a particular chapter was even though it jumps around and I tend to skip over the name above the chapter when I’m really into the action. I’d always had trouble with Grace, relating more to Sam but I think Grace’s character development blossomed as she struggled with her new identity in this novel. It’s funny that Cole and Isabel’s relationship began as purely sexual attraction, and Sam and Grace shared a bed for months without going there, but their sexual chemistry was far more compelling. The tension in Sam’s point of view when he’s having feelings for her despite the horrible circumstances and feeling guilty that when they are in danger he’s distracted by how close he is to touching her was really well written. There’s a section where he’s fantasizing about the life he wishes he could have with her, and I loved the first half where he was imagining her studying next to him as he reads, and the simple joy he gets from being in a room for her. There was quite a bit of action in the novel, with people being torn apart by wolves and the big hunt looming made it suspenseful, however my favourite parts were the introspective moments. Each of the characters struggles with being defined by their history, there is a beautiful balance of their personalities being shaped by their upbringing, and defying what’s done to them. Sam is suspected of being a terrible person because of how he was abused. Someone asks how he could be anything but a monster having been treated as he was by his biological parents, and he wonders himself if Beck has raised him to be monstrous. Grace’s neglectful parents have instilled in her a sense of independence. Cole’s drug abuse and suicidal tendencies and Isabel’s confrontational, cold nature are equally explored. Being a bookworm myself I enjoyed the various take’s on Beck’s library. All of the narrators view it differently but I prefered Grace’s interpretation. 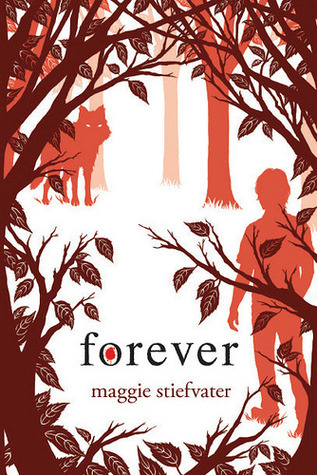 If you haven’t read this series or if you’ve only read the first installment, I’d say Forever makes it worth the read.I doubt the movie will do it justice. 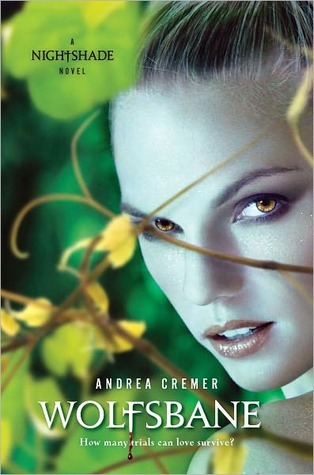 I borrowed Wolfsbane, the sequel to Nightshade by Andrea Cremer, from the library. Calla remains a strong character with compelling conflicted emotions and some great new secondary characters are introduced. I was less impressed by the action than I expected because it felt rushed at times, like she needed a battle so she threw one in, but there was not the same mastery for the fights as there was with the internal dialogue. I went from being team Ren to being team Connor, I still strongly dislike Shay (I realize this will make me unpopular). The social structure of the Keepers, Guardians and Searchers is fairly intricate and one of the more interesting aspects of the novel for me. Wasn’t as enthralled as with the last book but I will definitely continue with the series. ﻿I eagerly awaited getting Linger ﻿by ﻿Maggie Stiefvater from the library (there were a lot of holds) after really enjoying Shiver . I can’t say it filled the big shoes of its predecessor. At first I found the 4 perspectives to be too much. I just wanted Sam and Grace, and Isabel and Cole were getting in the way of where I expected the story to go. As the book went on I was grateful to have Cole’s storyline happening because not enough was happening in the Sam and Grace one. There was a section in the book where it seemed all the narrators were just saying “Grace is sick, I suspect it has to do with the wolves” in their own way, and I was getting bored with it. I felt like her illness was dragged out longer than it needed to be. To be fair I have been really sick this week and the last thing I felt like reading about was someone being sick, it only made me hyper-aware of my own problems. Cole’s guilt about his mistakes with Victor, Isabelle’s guilt over her brother’s death and Sam’s confrontation with his past were all interesting but depressing. I was glad to see Grace finally express herself to her parents, but I don’t think she handled it very well. The only thing that kept me really into the book was Sam, or rather the way ﻿﻿﻿Stiefvater writes in Sam’s POV. I love the lyrics he writes, the poetic way he speaks, and the way he somehow seems innocent and jaded at the same time. I found Grace’s chapters dry but Sam’s were so full of life that I kept reading looking forward to the snippets of lyrics. I wish the book came with a soundtrack. Overall I was a bit disappointed, but there were parts I liked and I enjoyed the ending.